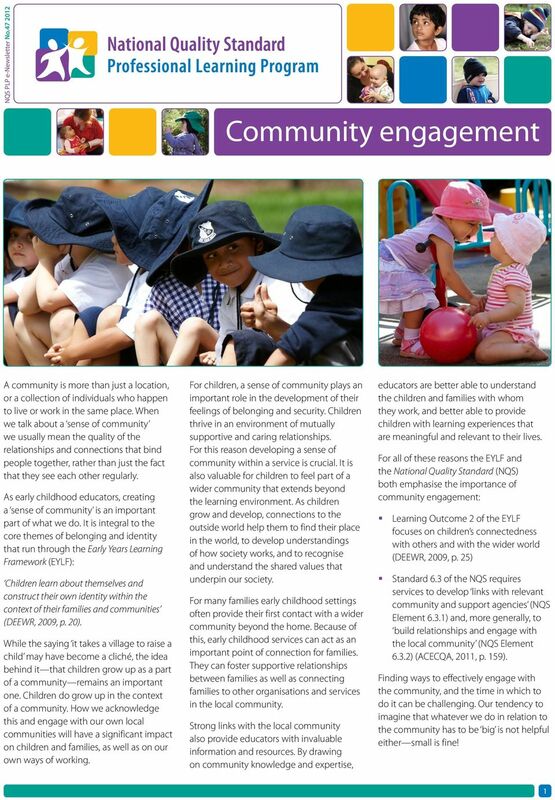 Download "Community engagement. 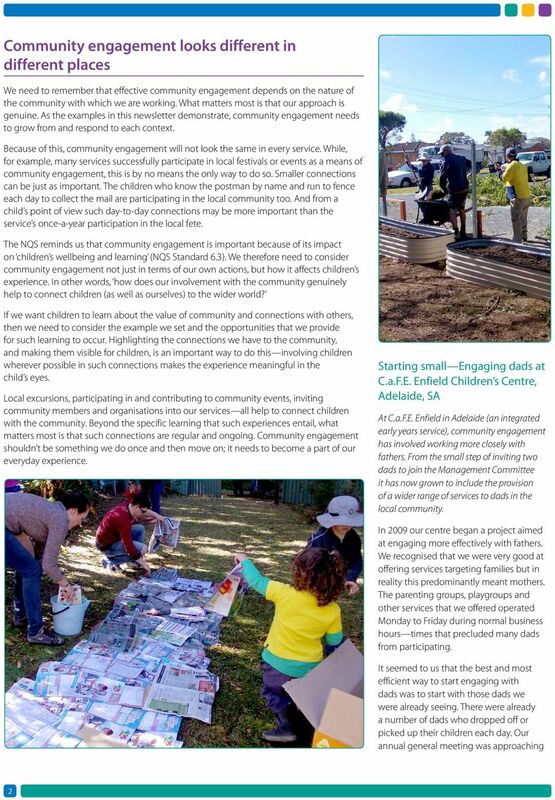 For all of these reasons the EYLF and the National Quality Standard (NQS) both emphasise the importance of community engagement:"
Learning Environments Workshop delivered by Luke Touhill and Judy Radich at Campbell Street Childcare and Early Education Centre What is Environment Makeover. National Quality Standard ideas to actions? Encouraging children to taste fresh fruits and vegetables at an early age is the best way to develop healthy eating habits that will last a lifetime. Fresh Produce. Fresh, high-quality, diverse, affordable vegetables and fruit for communities and schools. 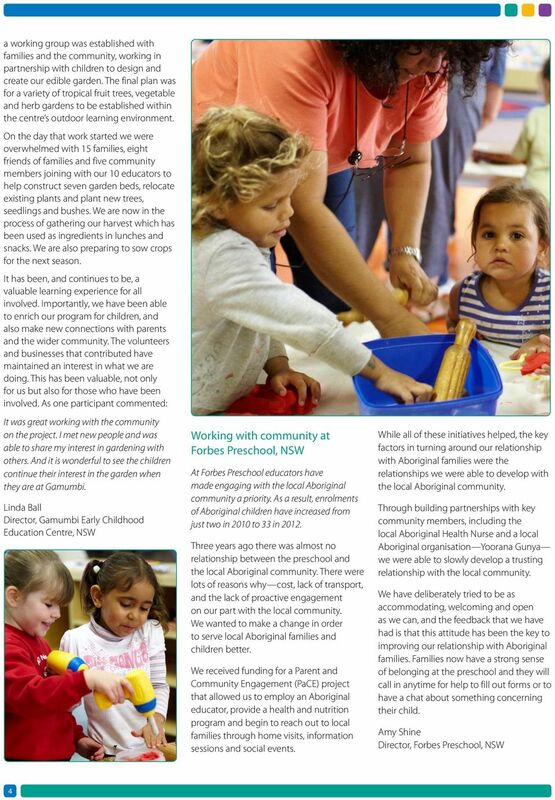 THINKING ABOUT PRACTICE Working with the Early Years Learning Framework The EYLF Professional Learning Program is funded by the Australian Government Department of Education, Employment and Workplace Relations. Volunteers A Gift to the Community About the event: During the week 1 st 5 th of July, Pipworth Community Primary School worked together with local groups and organisations to celebrate local volunteers. 2015 KAMAROI PARENT EDUCATION PROGRAM TERM 4 This term there are four evening sessions scheduled. 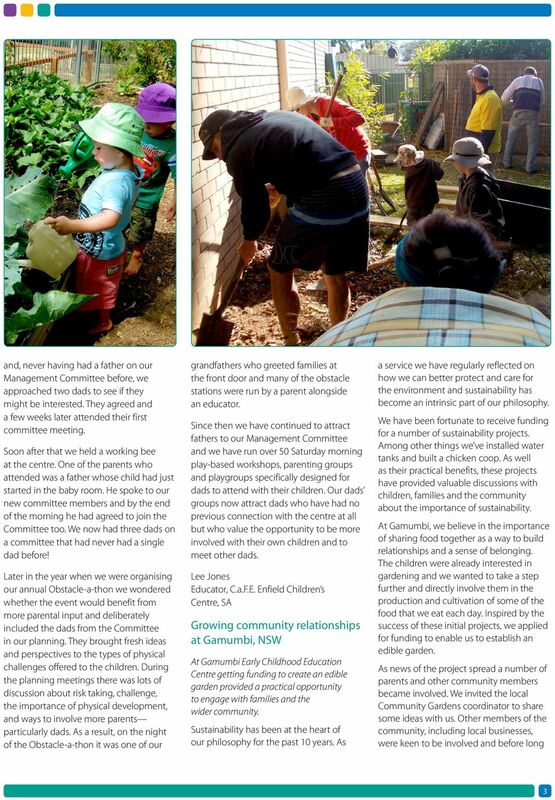 The first is specifically for current Kamaroi Kindergarten parents with children moving to Class 1 in 2016. Writing a press release and speaking to the media: for local and national support groups in England, Northern Ireland, Scotland and Wales 2 Contents page Introduction 3 What should be in your press release? Internship Opportunities Spring/Summer 2016 Stone Barns Center for Food and Agriculture operates an innovative nonprofit farm and education center, and works to create a healthy, resilient food system. Key Stage 1 What should we eat and why? IT & Small Businesses. It can help grow your small business and cut cost where you never thought possible. 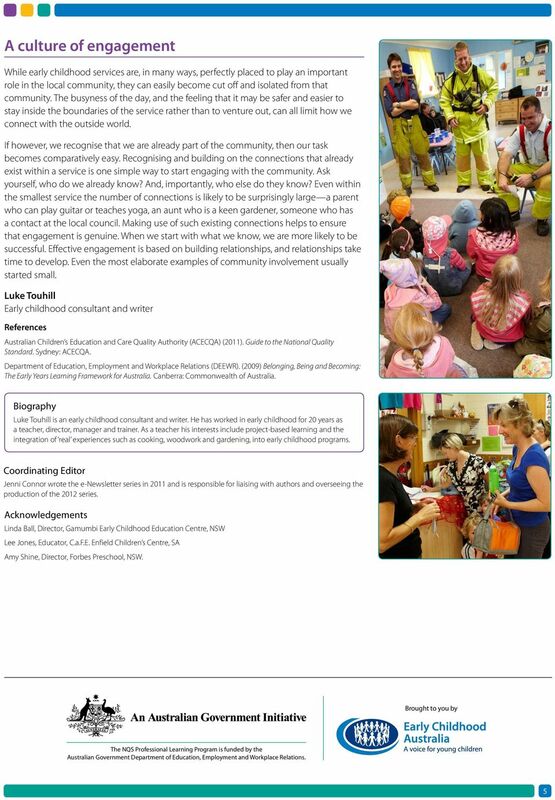 A Transdisciplinary Approach Your user friendly guide to our Early Childhood Support services. Contents What does Northcott do? 3 What is Early Childhood Intervention? 4 What is Transdisciplinary Practice? Unified communications empower global organisation to connect, collaborate and compete on a worldwide scale.